Palyan Law is dedicated exclusively to the practice of family law, delivering exceptional representation based upon the recognized experience, expertise, and qualifications of Tigran Palyan, Esq. Mr. Palyan brings something truly special to the practice of family law and his clients, combining valuable perspectives from his experience at the top family law firms of Los Angeles, the judiciary, and his active involvement in the legal community and education. Litigation Experience: Prior to founding Palyan Law, Mr. Palyan spent many years as an associate attorney at the legendary law firm of Trope and Trope LLP, then later went on to become a partner at the firm Trope & DeCarolis LLP. Mr. Palyan has represented business owners, celebrities, professional athletes, entertainment executives, doctors, attorneys, accountants, wealth investment managers, corporate directors and executives, college professors, school teachers, police officers, and other government employees. Judicial Perspective: Prior to joining the private practice, Mr. Palyan served as a judicial law clerk/research attorney for family law judges (two of whom who went on to become the Supervising Family Law Judge for Los Angeles County), in addition to holding several coveted judicial externships, including one with the Ninth Circuit United States Court of Appeals. As a research attorney, Mr. Palyan provided legal research, analysis, and a recommendation to family law judges hearing motions, Requests for Orders, and Orders to Show Cause. Mr. Palyan worked on hundreds of family law proceedings, and was the law clerk assigned to one of the largest divorces cases in the history of the state of California. Academic Credentials and Involvement: Starting just four years after graduating law school, Mr. Palyan was invited to teach law school as an adjunct professor. He currently teaches Family Law Practice and Procedure, having previously taught the International Law Journal Seminar, and Civil Pre-trial Practice. He has been published numerous times, including a Law Review article he authored on privacy that has been cited in the Journal of the American Academy of Matrimonial Lawyers (AAML) among numerous other publications. Mr. Palyan graduated in the top ten percent of his class, having served both on law review and moot court, and earned the highest grade in several classes throughout law school. Involvement in the Legal Community: Mr. Palyan is one of the youngest attorneys ever to be appointed as a member of the Executive Committee of the Los Angeles County Bar Association (LACBA) Family Law Section. He serves as Chair of the Trial Readiness Clinics Committee, established by LACBA to help self-represented litigants prepare for trial in their family law proceeding. He also served as Vice Chair of Section Membership, Outreach, and Development Committee. 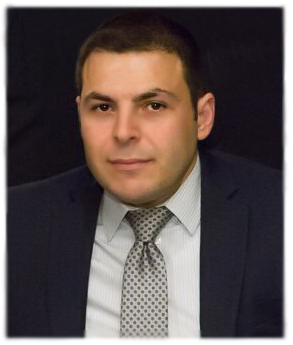 He also serves as Co-Chair of the Student Affairs Committee on the Armenian Bar Association, and is often asked to present at various speaking engagements designed to help law students excel put on by various professional organizations and local law schools. Honors: Mr. Palyan has been recognized as a Southern California Super Lawyers “Rising Star” for 2014, 2015, 2016, and 2017, and a Southern California “Outstanding Young Lawyer” on Los Angeles Magazine’s “Top Attorneys” List for 2014, 2015, 2016, and 2017. He has received public recognition for his community contributions from Los Angeles County Supervisor, Michael D. Antonovich, and a certificate of recognition from U.S. House of Representatives, Congressman Adam Schiff. Mr. Palyan also received commendation for his achievements from Archbishop Hovnan Derderian, of the Western Diocese Church. Finally, Mr. Palyan is a graduate of the prestigious National Family Trial Institute, a vigorous and intense training program taught by the nation's leading experts, attorneys, and judges.